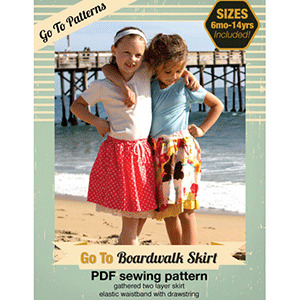 The Boardwalk Skirt sewing pattern is an easy, fun skirt for girls of all ages. You’ll be sewing this skirt for years! The skirt has a double layer. 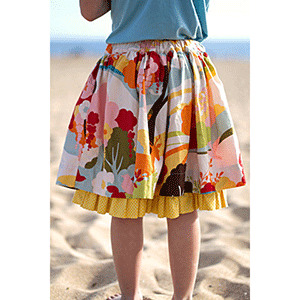 The outer skirt is perfect for twirling while the inner skirt stays in place and adds a decorative touch. 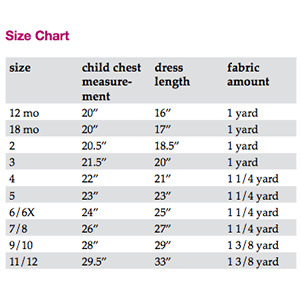 This pattern is available in sizes 6 months to 14 years. Suggested fabrics are woven fabrics with a nice drape such as crepe de chine, peach skin, and wool dobby.